Used to plug unneeded ports on 20K BJV extension-ready heads or other nozzles with G12 ports. 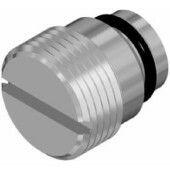 Used to plug unneeded ports on 40K BJV extension-ready heads or other nozzles with G12 ports. Used to plug unneeded 40K Gopher ports. 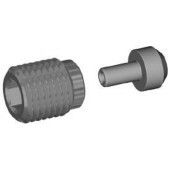 1/16″ NPT socket head plug. Working pressure up to 15,000 psi (1000 bar). Plated steel. 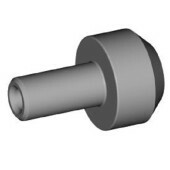 1/2″ NPT socket head plug. Working pressure up to 15,000 psi. Plated steel. 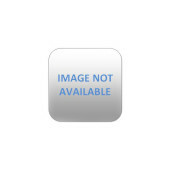 Used to plug 7/16″UNF nozzle ports (OS7). 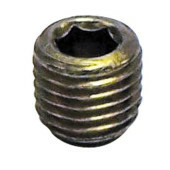 1/8″ NPT socket head plug. Working pressure up to 15,000 psi (1000 bar). 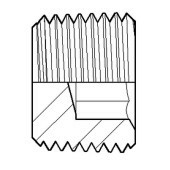 Plated steel. 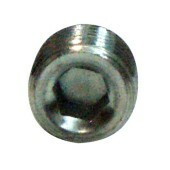 Used with UHP nozzle retainer to plug 3/8″UNF ports.